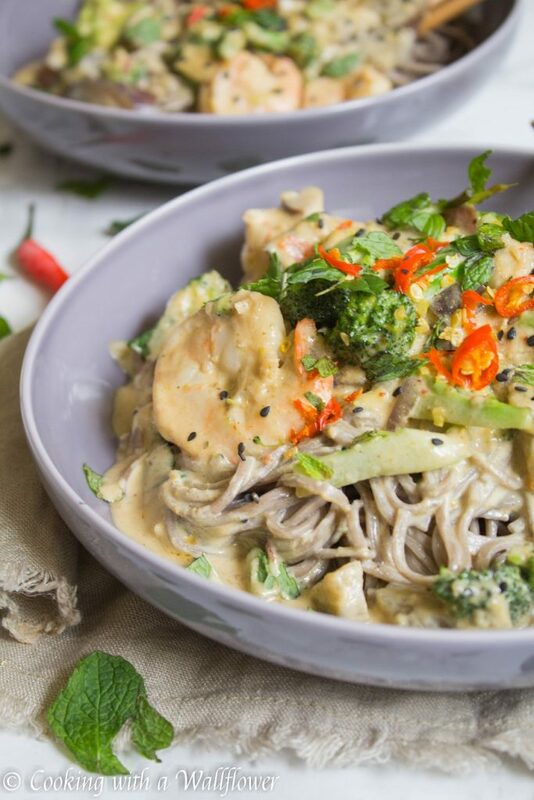 Green curry filled with shrimp, broccoli, carrots, and eggplant served over soba noodles. 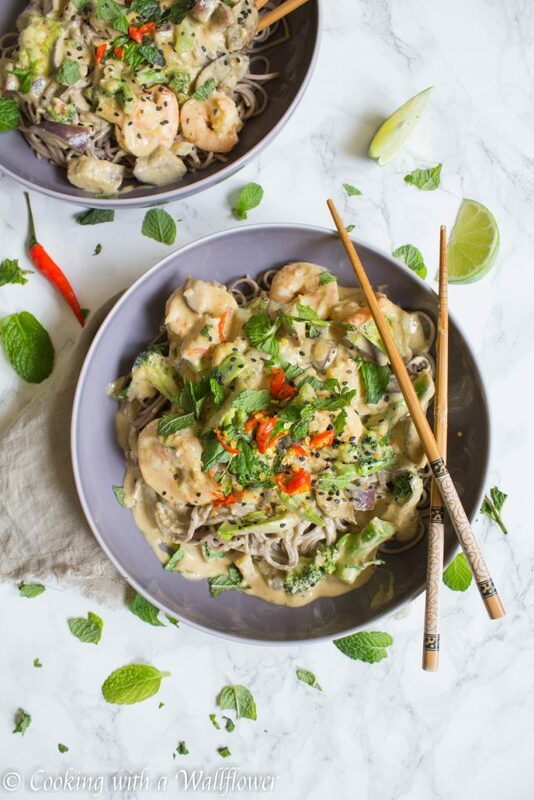 This shrimp coconut green curry soba noodle bowl is the perfect weeknight dinner. Have I ever mentioned that Thai food is a staple in our house? 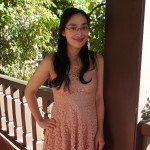 My sisters and I grew up eating a combination of Chinese, Vietnamese, and Thai food. Asian foods are always so flavorful. So many different spices and bold flavors. One Thai dish that I often enjoy is green curry. I almost always like to order it when I go out for Thai food. Maybe it’s because it’s the spiciest of all the curries, maybe it’s because it’s loaded with veggies, maybe it’s because you can customize the protein. There are so many different ways to make it your dish. Serve it over rice, serve it over vermicelli, serve it over fish, serve it over soba noodles. Endless options. For this dish, I kept the ingredients as simple as possible, using ingredients that aren’t hard to find. Because the thing I hate the most is having to buy ingredients that are specific to one dish. I mean…. buying a spice that I’ll only use for one dish? That I’ll eat maybe once a year? I don’t have space for that. Plus, it gets expensive. So no thank you. 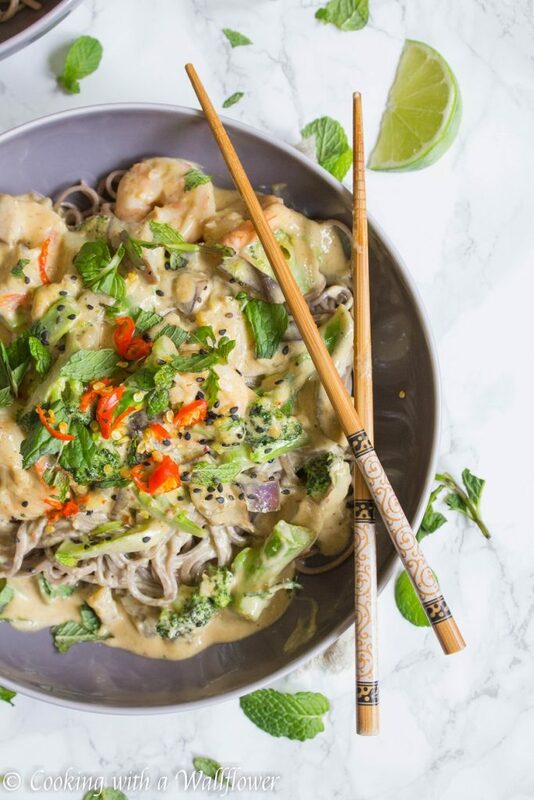 This green curry is as simple as it gets. You do have to invest in some Asian ingredients like green curry paste, soy sauce, and fish sauce. But those should be easy to get a hold of. Staples for Thai cooking, in my opinion. I added broccoli, carrots, and eggplant because it’s what I had in the fridge. But you can easily substitute with your favorite vegetables. Ideas can include cauliflower, bell peppers, zucchini, mushrooms, and potatoes. You can even add chicken, tofu, shrimp. SO many ingredients that you can play with. I love that this dish is so simple to make. You can easily make this for a weeknight dinner. Simple ingredients, quick to make, and leftovers make a great lunch for the next day. In a medium sized pot, bring water to boil and add soba noodles. Cook for 6-8 minutes until the noodles have softened. Generally, when you buy a pack of soba noodles, the noodles will come wrapped in individual bundles. I used one bundle per person. Once the noodles have softened, drain and run the noodles through cold water to prevent it from continuing to cook. Set aside for now. In a large skillet, add olive oil over low to medium heat. Next, add minced garlic and ginger. 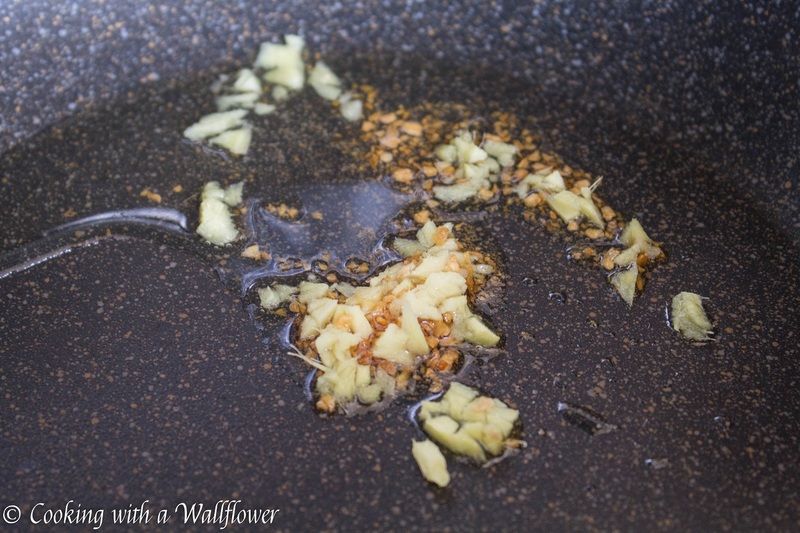 Cook the garlic and ginger until golden brown and aromatic. 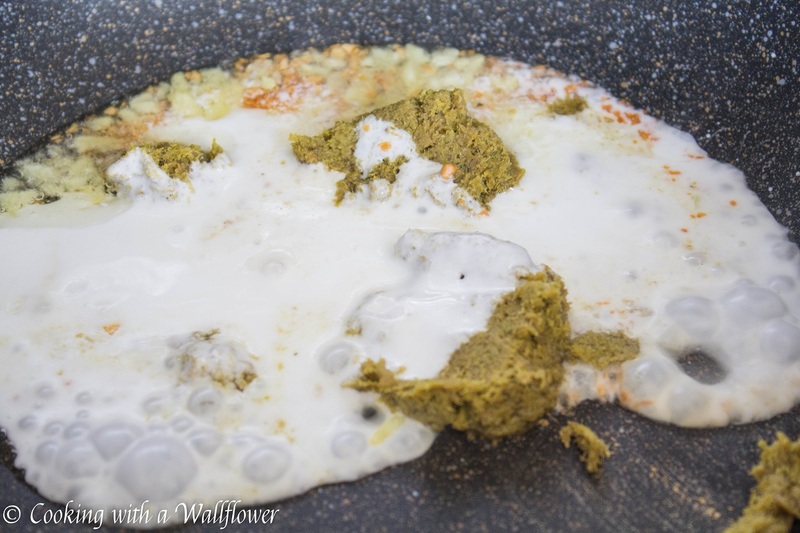 Add green curry paste and full fat coconut milk. Stir in granulated sugar and chili paste, like Sambal oelek. Add fish sauce and soy sauce. Stir to combine all the ingredients. Allow the sauce to simmer for about 15 minutes to thicken. In a medium sized skillet, add olive oil over low to medium heat. 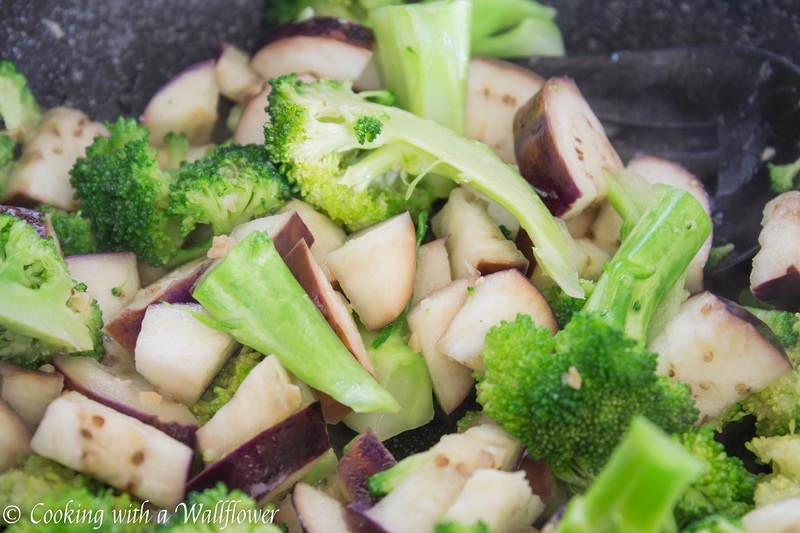 Add the broccoli florets, carrots, and eggplant. Cook the vegetables for about 5 minutes until the vegetables become tender. Add shrimp and cook until the shrimp turns reddish orange. Transfer the shrimp and vegetables into the green curry. 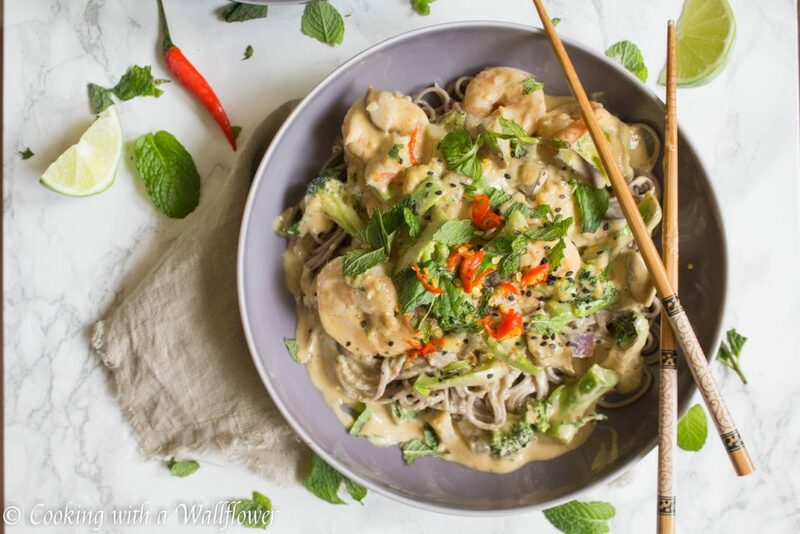 Stir to combine and coat the shrimp and vegetables with the green curry sauce. Place the soba noodle in a medium sized bowl. 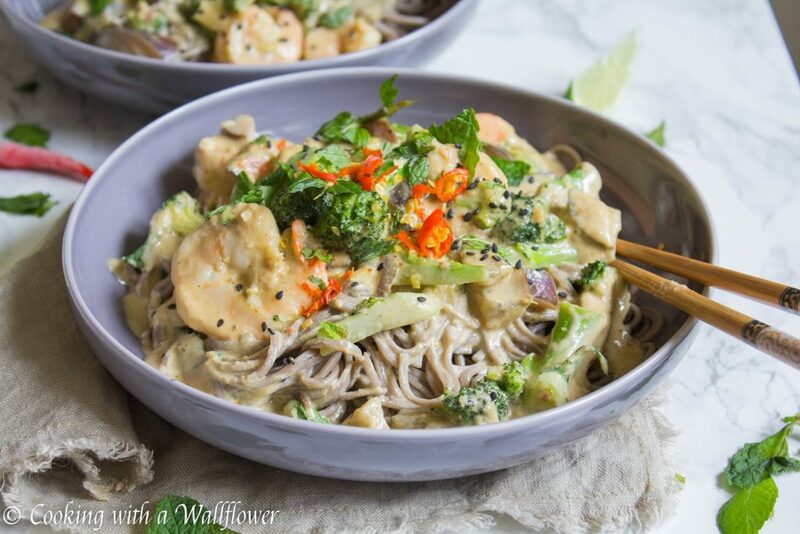 Pour the shrimp green curry with vegetables over the noodles. Top with black sesame seeds, torn basil and mint leaves, and a squeeze of lemon if desired. 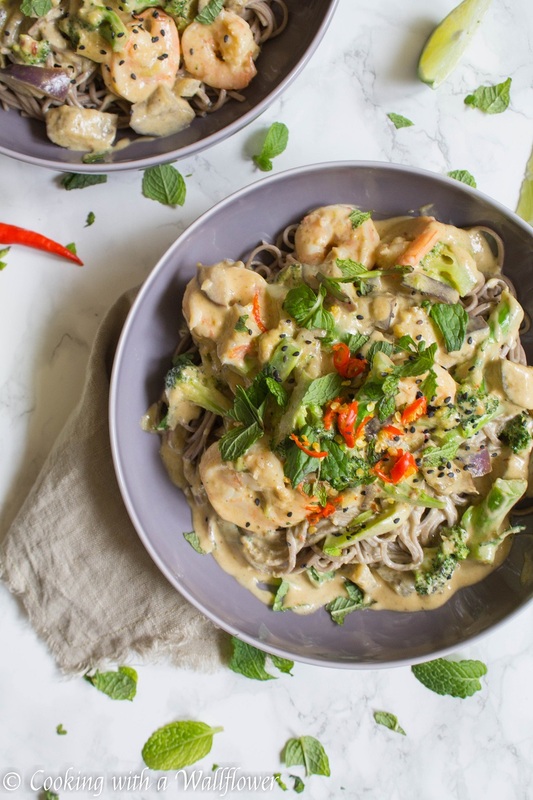 Serve this shrimp coconut green curry soba noodle bowl warm. In a medium sized pot, bring water to boil and add soba noodles. Cook for 6-8 minutes until the noodles have softened. Once the noodles are cooked, drain and run the noodles through cold water to prevent it from continuing to cook. Set aside for now. 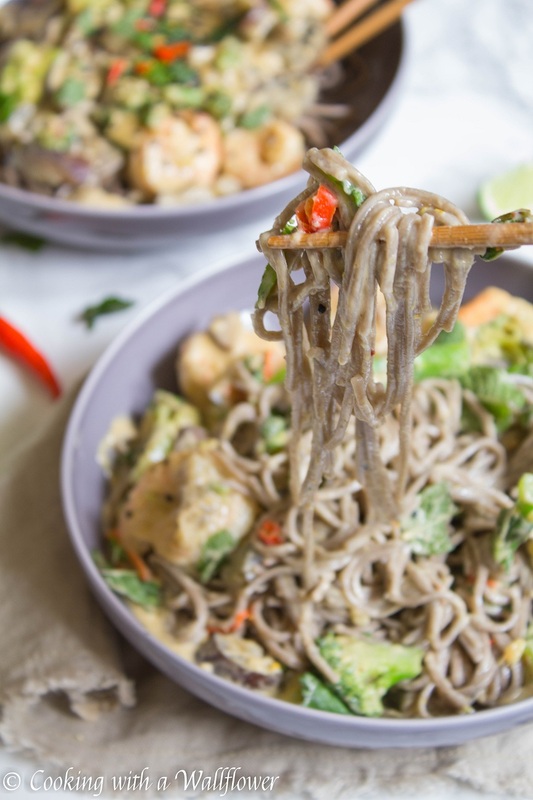 This entry was posted in Asian Inspired, Bowl Foods, Entree, Farmer's Market, Quick and Easy, Recipes and tagged bowl food, curry, green curry, noodle bowl, quick and easy, Thai food.